Given below are steps on how to install a blogger template in 2018 and if you're searching for this topic, then I believe you have successfully created your blog and want to improve its design. A customized blogger template allows you to design your blogger blog to your own taste especially if you have little knowledge of HTML, CSS and PHP codings, which are web development script languages. With little knowledge of coding, you can still brag about owning a blog with a remarkable design. Improving your blog's design will need a new responsive and SEO optimized template in 2018 other than the default blogger templates that have limited widgets/gadgets. Even though the default templates are very simple and have a fast loading time, they don't give your blog a professional look. The best blogger Templates found on Gooyabites templates, cssauthor, soratemplates, and theme expose on niches like Entertainment, Tech, Health, Arts and design, Photography, Sports, and Politics, can help give your new blog a unique look. But after downloading your most preferred template, how can you upload it to your blog in order to change the default blogger design that comes with a new blog. If you're new to blogging or the blogger platform, the interface might be quite strange to your eyes but fret not as this is one of the easiest platforms whose features you can easily grasp within a short period of time. Below are the guidelines on how to upload blogger templates, whether you're a newbie or a pro, but before we proceed, you need to know that there are certain downsides to using a custom template than the default blogger templates. While it's good to change the default template, it might not be a better option for the following reasons. Some customized templates are not SEO friendly hence will influence your site's rank in Search Engines negatively. They either come with too many third party gadgets/widgets, are not properly optimized or with errors in the codings. Some customized blogger templates in 2018 are still not mobile friendly as they still display the desktop versions of a site on mobile browsers. If your template is the same, you might do yourself some good by taking it down. After downloading a custom template for blogger, how can you install the blogger template 2018? Blogger supports XML web templates, hence you the custom template you'll be uploading must be in XML file extension, that is, template.xml. 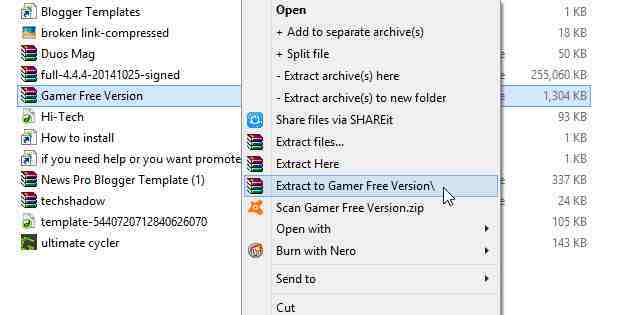 If your template is in .zip file extension format, you need to extract it using a Zip extractor tool such as Winrar on PC or from your Andriod smartphone by downloading RAR file opener for android apk. from Google PlayStore. After downloading Winrar, Install it on your Computer. Navigate to the Template file and right-click on it, then select 'Extract to 'Folder Name''. 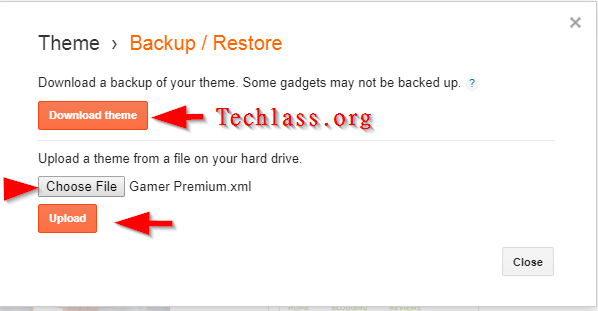 Click on 'Backup/Restore' (It is advisable to save a copy of current template before changing it because you may have a need for it later). 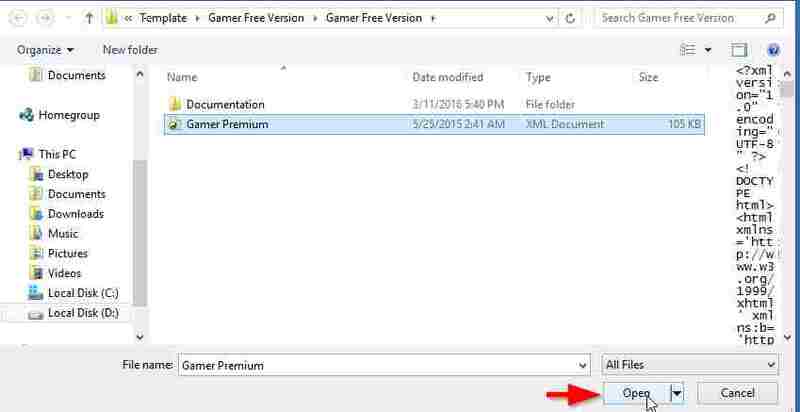 On the next page, Click on 'Download' and choose a file location on your PC where you'll like to save the theme. Locate where the new custom theme you downloaded is, then click on 'Open'. After successfully changing your template, you still customize your blogger template on by modifying its appearance on mobile and desktop version. You need a little knowledge of tweaking HTML and CSS codes, hence you should take a look at these posts below that will enable you to work on your newly uploaded template.